Cynthia Czajkowski, neuroscience professor in the School of Medicine and Public Health, has been named UW-Madison’s interim associate vice chancellor for research in the biological sciences. Czajkowski will fill in for Oncology Professor and Associate Vice Chancellor for Research in the Biological Sciences Norman Drinkwater who will become interim vice chancellor for research and graduate education beginning Jan. 1. Vice Chancellor Marsha Mailick is taking a leave from her day-to-day duties as vice chancellor for research and graduate education though the spring semester. Drinkwater, associate vice chancellor for research since 2014, has a long history of serving in leadership positions on campus, including 16 years as chair of the Department of Oncology and director of the McArdle Laboratory for Cancer Research. 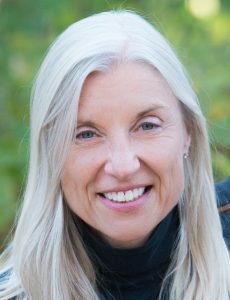 Czajkowski received her Ph.D. from the State University of New York–Downstate Medical Center and has served on the UW-Madison faculty for 23 years. Czajkowski’s responsibilities as interim associate vice chancellor will include overseeing biological sciences applications and awards for UW2020 and the Fall Research Competition. She will work as associate vice chancellor in Bascom Hall and will continue to lead her research group at WIMR. Her research focuses on how pentameric ligand-gated ion channels work and how therapeutic drugs modulate their activity. The opening and closing of these channels, which lie in the membranes of nerve cells, regulate information flow throughout the brain. Defects in the channels lead to a variety of neurological diseases and psychiatric disorders, and drugs that target them include muscle relaxants, anesthetics, and sedatives.